Rachelle Sanchez is a former criminal prosecutor with real trial experience. 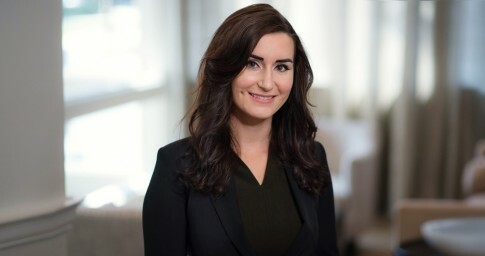 Rachelle focuses her practice on healthcare and product liability litigation. Before joining Lightfoot, Rachelle had already made her mark as a litigator. She served as a criminal prosecutor with the Maricopa County Attorney’s Office in Arizona where she first-chaired numerous jury trials as well as more than 200 bench trials. She also handled hundreds of sentencing and substantive motion hearings. Rachelle also gained significant legal experience while with the Army National Guard. After serving in a combat support role as an MP, Rachelle spent her last year in the military with the JAG office where she worked alongside JAG officers on administrative as well as punitive legal matters. During college and law school, Rachelle worked for Judge Paul G. Rosenblatt of the U.S. District Court for the District of Arizona, the U.S. Marshals Service and the U.S. Postal Inspection Service. In 2015, the Arizona Prosecuting Attorney’s Advisory Council selected Rachelle as that year’s Truman Young Prosecutorial Fellow, which is offered to one law student in the state of Arizona each year. That allowed Rachelle to be the only law student authorized that year to appear in federal court on behalf of the United States in the District of Arizona. Today, Rachelle brings all of that legal and courtroom experience to work on behalf of her clients.